Your family’s health is the most important. Use our La gourmet Lunch Boxes that are Hygienic and BPA Free to pack food for them everyday instead of using disposable single server containers. 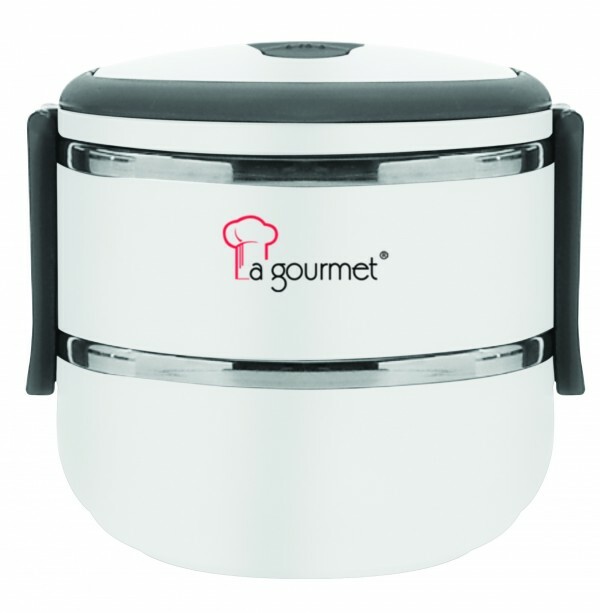 Why buy La gourmet 3R Products? La gourmet’s is committed to help protect our planet by producing products that promote a healthy lifestyle while helping to preserve the environment. La gourmet’s “Love Our Planet” campaign is a choice that La gourmet has taken to focus on products that are Eco- friendly. REDUCE – To reduce our carbon footprint by reducing the resources that we use by reusing La gourmet 3R Products and finally recycling them. La gourmet 3R Products are healthy for both you and your planet! With inbuild rubber ring and pressure release vent. Before first use please clean with warm soapy water, rinse and leave open to air dry. When cleaning do not immerse the entire body in water as it may cause water to seep in between the double wall and the stainless steel inner body. Do not put over open flame. After use,wash,rinse,wipe dry and leave open to air dry to avoid the ” after smell” of the previous use.